What is a "full stack" engineer? A "stack" refers to the layers of technologies between the server hardware and the end-user's browser required for a complete web application. Within this somewhat simplistic definition, you can further divide the stack into two parts: the front-end and the back-end. A front-end engineer specializes in the interactive, user-facing portion of a web app: the look and feel, color scheme, animations, buttons, and all the rest that makes up the user interface ("UI"). A back-end engineer works with servers, queries databases, writes APIs, and developes algorithms to hand the appropriate information back to their front-end counterparts. By covering two programming languages and our rotating elective workshops, our students are better equipped both as builders and job seekers. They're more versatile and better able to tackle new technologies in a constantly evolving industry. 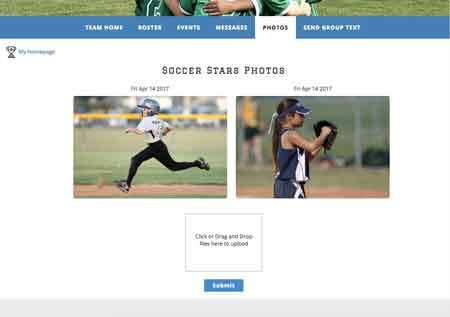 They're able to turn their ideas into fully-functional web applications without missing components. In short, they're full stack software engineers. He would still say it's "a work in-progress," but this student's creative take on a portfolio is impossible not to show off. As a result of his hard work he didn't last long on the job market! Team Management - simplified. This front-end group project was build about half way through the immersive program. It even has group SMS built in, powered by the Twilio API! Built by Julie, Todd, James, and Jonathan. Data Soap is a tool for call centers or anyone with huge databases of contacts (phone numbers) to scrub their data set against the national "no call" list. This is a cause we can get behind! Built by Houston developers Karissa (BI Developer @ Vista Energy Marketing) and Deepak (Data Analyst @ Clockwork Solutions) as their first front-end group project. It's always fun when a student takes our "builder of things" slogan seriously! 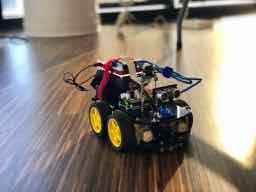 Chris built a remote-controlled car that you could drive with your terminal, a little Node.js, and a PS4 controller. "Talk is cheap. Show me the code." -Linus Torvalds, creator of Linux, Git, and the idea of Open-Source. Pour yourself some coffee and get to work! We may kick off with some algorithmic exercises, a little paired-programming, or a full-fledged project to start the day. Whether coding solo or as part of a SCRUM team, you'll build fully-functional sites and applications that you'll be proud to show off to your (occasionally under-interested) friends and family! We only stop because we have to! Relax in the classroom, take lunch in the kitchen, or explore what our awesome neighborhoods have to offer. Both our Atlanta and Houston campuses have great amenities to take advantage of, from a killer courtyard at Headquarters Houston to free yoga on the rooftop patio at Atlanta Tech Village. You'll find yourself cracking code-jokes in no time as you get to know the classmates you'll be keeping up with throughout your careers. After lunch, the instructor might plow ahead if we're just starting a new technology, or students might be assigned additional requirements pushing the morning project further. The instructor is always present and helping when roadblocks are encountered, but students are encouraged to find and implement solutions themselves. Software development requires consistent learning and problem solving; our program is here to teach you the best way to teach yourself. This program isn't a walk in the park, and after a full day of coding our students are charged with completing additional homework designed to push their abilities as far as possible given such a condensed amount of time. This commitment of time and energy requires a certain level of aptitude and will-power that we do our best to identify in our selective admissions process. A career in software requires a lifetime commitment to learning new skills and technologies. You don't want to look up one day and find yourself a Blackberry developer in the age of the iPhone! We hold periodic elective workshops for students and alumni to help provide continuing education opportunities in myriad complementary topics. Nearly every software engineer has heard the interview question, "Do you have experience with ___?" This is our way of filling in the blank! At DigitalCrafts, you will learn the most cutting edge technologies for the job market today. More importantly, you'll learn how to stay cutting edge for the job market tomorrow. We constantly update our curriculum in response to job market and technology trends. As such, this list is subject to change. DigitalCrafts is a coding bootcamp and software staffing company with locations in Atlanta and Houston. DigitalCrafts bootcamps are amongst the best-reviewed in the country, and offer intensive classroom experiences for full-time and part-time students. DigitalCrafts enterprise solutions include custom training and onboarding programs, as well as software staffing services for companies of all sizes. Our Atlanta Campus is located in the Atlanta Tech Village in Buckhead. Our Houston Campus is temporarily located in the Headquarters Building in EaDo, and will be moving to our permanent space at The Cannon this Spring. Can I keep my day job while a student? Not for the immersive program, which is truly a full-time, Monday through Friday experience. If dedicating 40+ hours per week isn't in the cards, consider the part-time Flex program, which is designed with working professionals in mind. Is prior programming experience required? Our curriculum is designed with beginners in mind, so while prior experience is welcome, it's not required. We'll assign prerequisite materials to get everyone up to speed on the basics before class. That said, preparation is the key to success, and we love seeing applicants with some self-learning under their belts. Base tuition for the Immersive program is $13,950. After being accepted, either a $1,000 deposit and/or approval from our financing partner (Skills Fund) is required to secure your seat. The remaining tuition may be paid in full before class starts or financed over 3 or 5 years through our partner, Skills Fund. We also offer Income Share Agreements, or "ISA Plans," which allow students to forgo the bulk of tuition until employed earning at least $40k in income. Discounts and Scholarships: If you apply, are accepted, and submit your $1,000 deposit to secure your seat within 5 business days of receiving your acceptance letter, we will take $250 off tuition. If you enroll before the early enrollment deadline listed on our schedule, you'll receive an additional $250 off tuition. Also, ask about our scholarships to learn more! More on tuition, scholarships, and Income Share Agreements. Yes! We’ve partnered with Skills Fund to provide affordable financing options (3 or 5 year fixed-rate loans) for our students. Reach out to learn more, you can give us a holler at hello@digitalcrafts.com or (833) 327 - 2387. There are also plenty of options outside of our partnerships, such as WeFinance, Upstart, GoFundVeterans, SoFi, or asking your employer to help fund your education. It never looks bad to ask for more training, and you might just be surprised by what you hear! Lastly, we also offer Income Share Agreements ("ISA") for Immersive students (limited to 5 participants per cohort). Visit our tuition page to learn more. Please note: if you are accepted and intend to finance your tuition through one of our financing partners, you will need to be approved as a borrower to officially secure your seat in class. What are Income Share Agreements / "ISA Plans"? No tuition until you're hired. Income Share Agreements, or ISA Plans, allow participants to forgo the bulk of tuition until they are employed earning $40k or more. Once earning above that threshold, your payments begin. Payments then continue for 48 months, as long as you're earning at least $40,000 per year, at a rate of 10% of your monthly income. The monthly payments will never exceed $24,000 in total. ISA Plans are limited to Immersive students only, and are only available to the first 5 participants in any given cohort. You will still need to submit a $1,000 deposit to secure your seat in class, which is fully refundable should you withdraw before class starts. You can check out our ISA eGuide here. 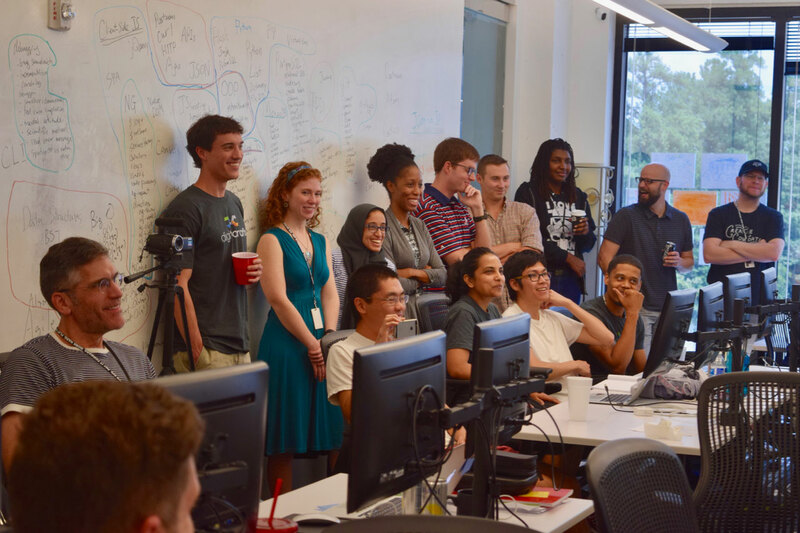 Part of our mission as a school is to make a career in software as accessible as possible to the underrepresented, the highly gifted, and the veterans who keep our country safe. As such, we're proud to offer automatic scholarships for all Women and Veterans. We also sponsor The Builder Scholarship, awarded by committee to builders with especially compelling stories, achievements, and goals. More on tuition and scholarship awards. How many students are in a class? Our average class size is currently ~17 students. Your cohort may have more or less, as there is some seasonality in enrollment, but we always maintain an efficient and effective classroom environment. We require that Immersive students use Mac computers in class. This helps ensure that our instructors will be able to debug any issues that are specific to your operating system. Other than that, all of the software we'll use is freely available, and we'll provide the external monitor to keep the code flowing. Will I be a member of Atlanta Tech Village / The Cannon as a student? 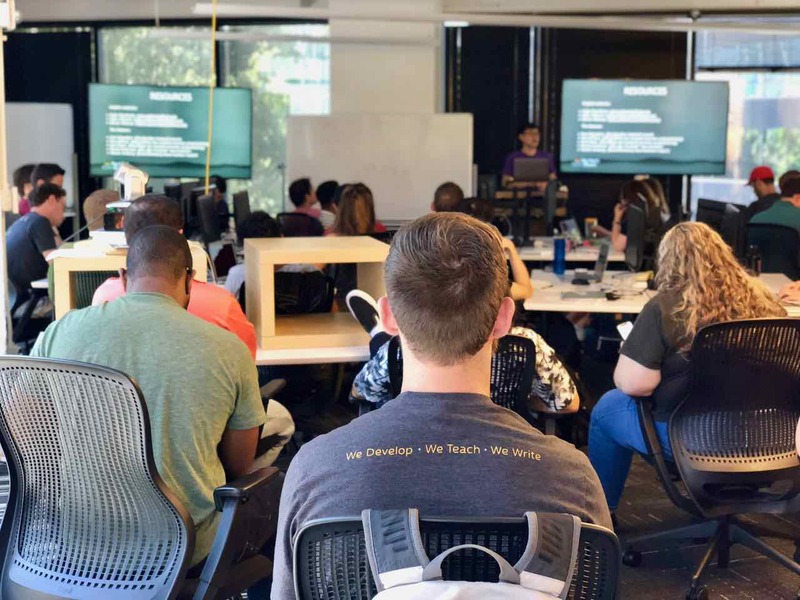 All of our Atlanta students, Immersive and Flex alike, are members of Atlanta Tech Village (ATV) for the duration of class. This means 24/7 access to the building, an onsite fitness center, free beer, snacks, Friday lunches, a killer rooftop patio, and access to networking and mentorship opportunities geared towards technology entrepreneurs. Our Houston students are members of The Cannon Houston for the duration of class, but may only have access to the classroom during class hours. Parking is free, which is a big perk in Houston! All students receive the same level of career support, which includes portfolio guidance, mock interviews, and exposure to our ever-growing list of employer partners. In addition, our dedicated Student Services Coordinator is available to provide detailed feedback on everything from cover letters and resumes, to projects, portfolios, and emails to employers. We can't nail the interview for you, but we'll do what we can to help along the way. What will I be able to do with the skills I learn? Empower yourself to build functional full-stack web applications using the tools and best-practices the market demands today. If you've ever had an idea but couldn't imagine how to build it, we'll teach you how. How is DigitalCrafts different from other programs? A successful entrepreneur once told our founders that "succeeding in business is simple. Do what you say you're going to do, and treat every customer like they're your first and last. If you say you're going to perform a service for somebody, do it well - most people won't." We believe the above state of mind, a firm belief in honesty and transparency, and the hard work of our instructors and staff is what has set us apart. It doesn't hurt that our instructors are the best, our class sizes are smaller, and the cost per hour of instruction is well below our competitors. In addition, because DigitalCrafts also provides staffing services to corporate clients, we remain a valuable resource for our alumni throughout their careers. We want to help our students find their 1st job, and every job after that. Our alumni reviews tell it better than we can. You may have noticed universities around the country beginning to offer bootcamps of their own. It's not our way to speak ill of competitors, but we do want to provide some much needed transparency to prospective students evaluating these programs. The "university" bootcamps are (almost) all taught by the same 3rd party for-profit company. The employees you interact with (admissions team, instructors, teaching assistants, career services team) do not work for the university, but rather for the 3rd party company. The university simply lends its brand, color scheme, and then shares in the profit. Also, because the university receives as much as 50% of the profit, they have to pack far more students in the classroom to make it finacially viable for both parties. How can I ask more questions? Reach out anytime, our team is here to help. You can schedule a call, send us an email, or just give us a ring: (833) 327 - 2387. We look forward to chatting! We build the Web. So can you.